Fishing remains the most dangerous peacetime occupation in the UK. This already hazardous job is made even more difficult by the 100,000 kilometres of cables and pipelines and 4,000 surface and subsea structures that lie off the coast of the UK and northern Europe. These obstacles frequently become hazards for fishing vessels; snagging fishing gear or leading to collisions which have caused capsizes and loss of life. Damaging this infrastructure can cost offshore operators millions of pounds. Kingfisher Information, run by Seafish, works with offshore industries to map the locations of surface and subsea structures to show potential fishing hazards. For the first time this valuable information is now being taught in fishermen’s training courses using state of the art animations to make the dangers of subsea hazards clear. The animations show the scale of the oil and gas wellheads, cables, renewable energy infrastructure and other hazards and just how easy it is for these to become an issue for fishing vessels and equipment. 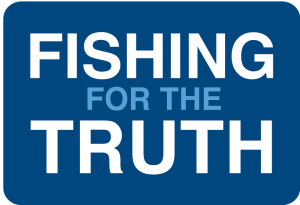 Scottish Fisherman’s Federation Marine Safety & Training Officer Derek Cardno said: “Information is vital for a safe and successful fishing trip. For many years the UK fleet has benefitted from the safety information provided by Kingfisher, which has avoided the tragic fishing incidents that we have seen in the past. The UK fleet relies on this safety information. “The SFF has fishing safety and training at its heart. The new training material that Kingfisher has developed will certainly help fishermen appreciate the risks presented by offshore structures and will improve offshore awareness. Full details, including a link to the animations, can be seen here.